Place into your 9″ dish plate allowing excess to hang over sides. 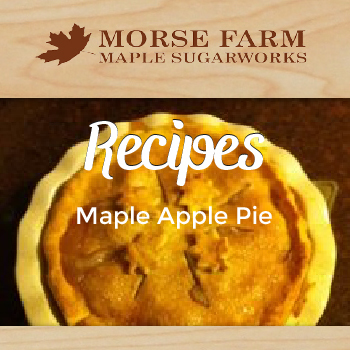 In large mixing bowl combine apples, flour, maple syrup, cinnamon, nutmeg & salt. Bake pie 1 – 1-1/2 hours, until filling is bubbly and top crust is golden brown. (To prevent overbrowning, cover edge of pie with foil or pie shield.